Renovation of Mid-Campus Green at Northwestern University’s Evanston, IL campus. 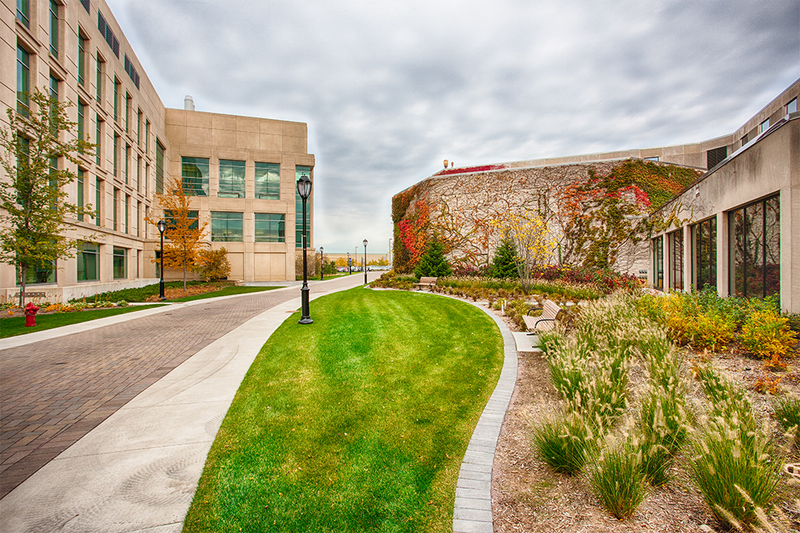 Mid-Campus green created a pedestrian friendly green space in the center of campus, in lieu of the existing parking lots. The project included the creation of a broad lawn area, permeable paver pathways, lighting, bike racks, and landscaping. This enhances the area between Pancoe and the Allen Center, with more pedestrian friendly materials and traffic control devices intended to restrict traffic from the inner campus.